In the summer of 2009, Gechen Zhang, a senior from Rockwood Summit High School in Missouri, went to China to help with the Sichuan earthquake relief. As a side trip, his curiosity led him to the Gongyihai Panda Reserve, high up in the mountain. On his way, a huge boulder blocked the road and made him abandon his car and take a walk. 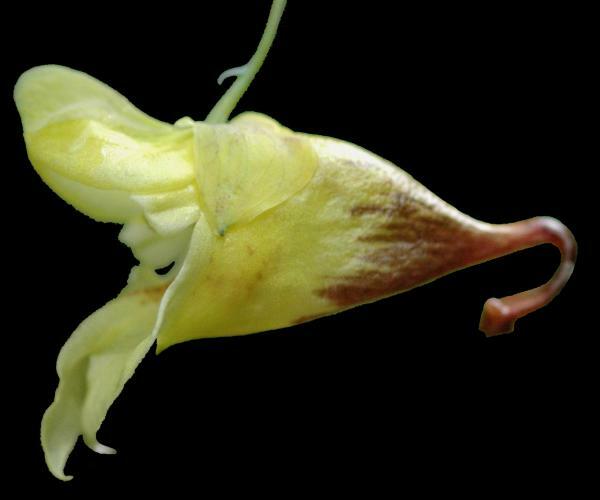 Perhaps he was lucky, as that fortunate day, he discovered a unique impatiens species by chance.